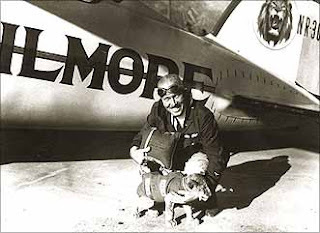 NORDO News - Aviation Unedited: Introducing Gilmore - Need a Kitten? Over a month ago, Ginger found a three week old kitten on the runway. How it got there, we don't know. It was also so young it couldn't walk, it still had blue eyes, and it was likely to die. This didn't deter Ginger though, and she sat out to raise it by hand. For a while there it was even like having child as she had to get up at all hours of the night to feed and take care of it. Today though, this once pitiful little kitten is seven weeks old, full of energy, and brave enough to sleep in a dog's bowl. As you can imagine, by necessity, he gets along and plays very well with dogs and cats. Over the past few weeks, he's slept with, played with, and managed at some point or other to corral each of our dogs and even Meatball our cat. It's really quite entertaining to watch. Unfortunately, we are out of room. If you know anyone who would like a terrific cat, send them our way. He's house broken, uses a scratching post, and insists on sleeping in the most comfortable bed in the house. He's now also had his first visit to the vet and first round of shots. But beware, this is not a cat that will leave our house due to the whim. Anyone who would like to provide a great home to Gilmore will have to pass our "sniff" test. We would also like for him to go somewhere we could get visitation rights. 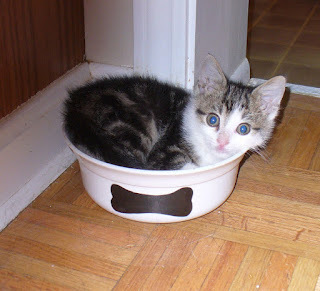 After all, this kitten follows in the footsteps of a famous Indiana resident of years gone by. For those who don't know the name Roscoe Turner, he was a legendary air race pilot from Indiana. His world famous sidekick was "Gilmore", an African Lion. Gilmore has been introduced for the flexible means and all such items for the people. Majority of the clutches have been shred for the forceful learning of the people for the future authentic means.